In line with information provided by the club's medical department, SD Eibar midfielder Fran Rico is set to be sidelined for approximately three weeks after suffering a stress fracture to his right fibula. Rico was unable to complete Wednesday's training session and subsequent tests revealed the extent of the injury. The player is now set to follow a conservative treatment programme as he recovers from the injury. Elsewhere, goalkeeper Asier Riesgo is a doubt for Sunday's clash against Deportivo Alavés at Ipurua after suffering a severe contusion to his right buttock, which has prevented him training alongside his teammates all week. Riesgo, who picked up the injury in a dive during last Sunday's meeting with Athletic Club at San Mamés, didn't take part in today's training session and he is following a conservative recovery programme. 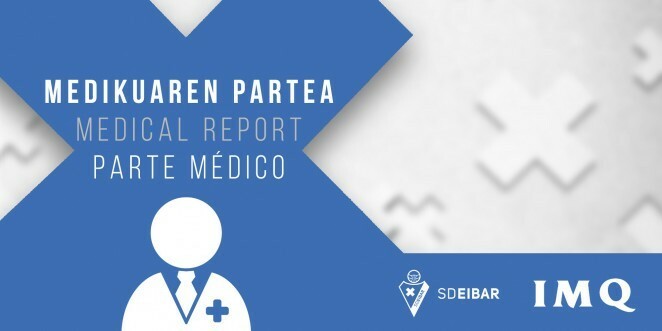 This information was provided by IMQ, SD Eibar's official medical provider.